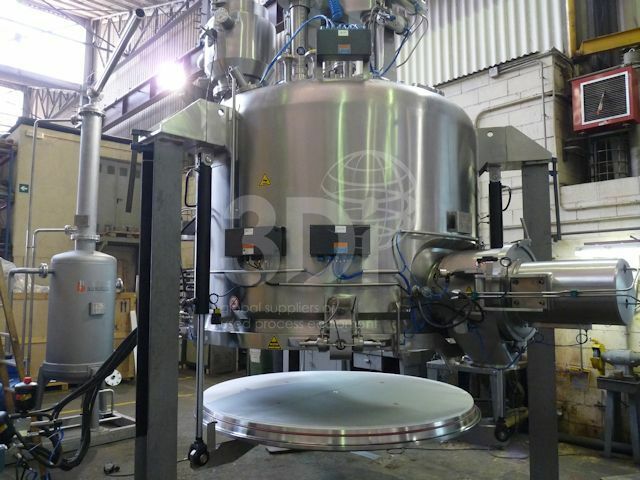 Used Bachiller Nutsche Filter Dryer Model FNB-3S, 316L stainless steel construction, jacketed, double mechanical seal, PTFE bellows, isolation welded, hydraulic side discharge, vacuum filter, manual super clamp opening system. Design conditions: -1/+3bar, 130degC design temperature. Previously used on pharmaceuticals.